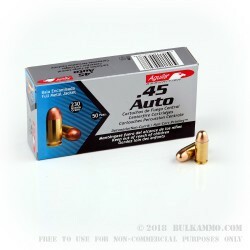 A very good, inexpensive cartridge for use at the range or for plinking, this is the Aguila .45 ACP hardball round that actually recoils a little bit less than standard hardball offerings and offers a nice, rolling recoil profile for the big 230 grain projectile that is copper clad. 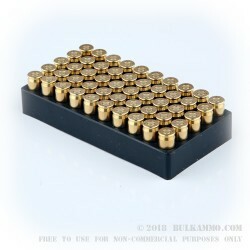 The brass casing and Boxer primer means these are reloadable very easily by the shooter and can give high end accuracy and reliability thanks to the high quality of components that are used in the manufacture of the cartridge. 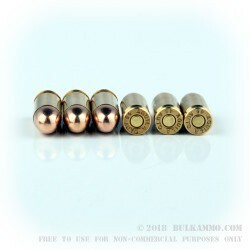 Aguila is known for producing some pretty innovative and novel cartridges, namely the tiny 12 gauge shells that allow twice the amount of shells in a magazine tube; and the 60 grain ultra-heavy weight subsonic round for the .22LR that makes very little noise and offers substantial knock down power out of the tiny cartridge. This is a more straightforward load from the Mexico based company that was started with help from Remington in 1961 in Cuernavaca, Morelos, Mexico. 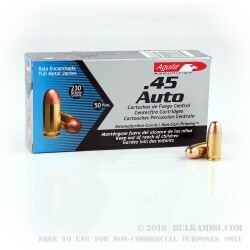 It may be a boring hardball round – not at all as interesting as some of Aguila’s other portfolio products, but the reliability and clean feeding and shooting of the cartridge makes this a much more interesting round than many of the competitors.